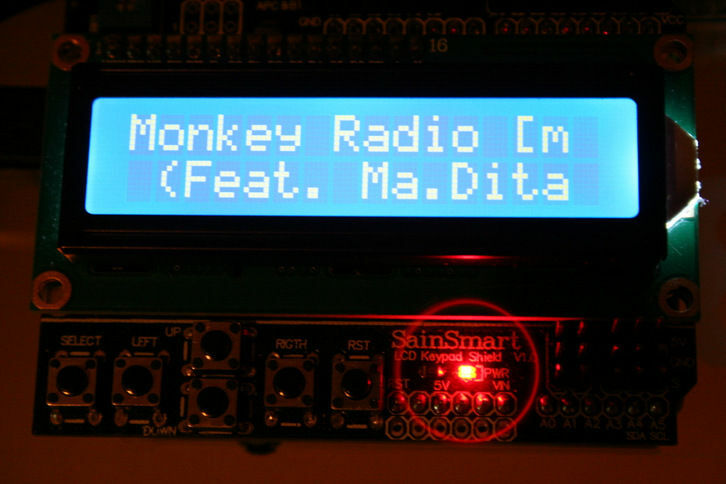 This is a project for Arduino and Raspberry Pi to make an Internet Radio, aimed at intermediate skill level. Some familiarity with Linux usage will be beneficial (or access to someone who can help out if required). 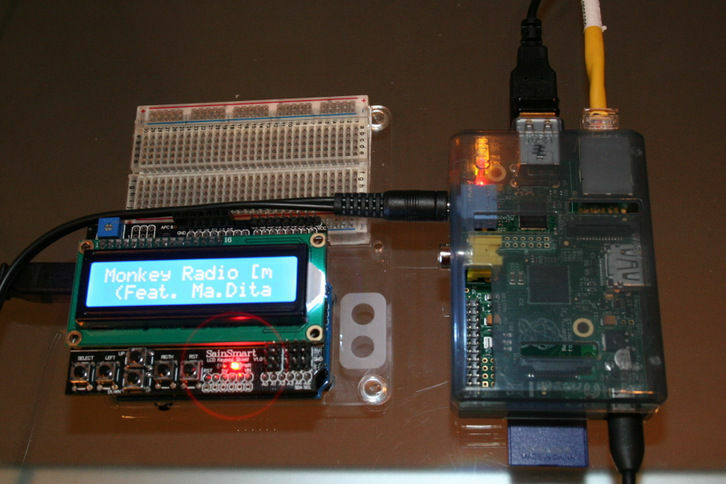 Raspberry Pi runs mpd music player daemon to receive and decode the internet radio stream. ALSA running on the Raspberry Pi provides the sound through either the Jack Socket or the HDMI output. 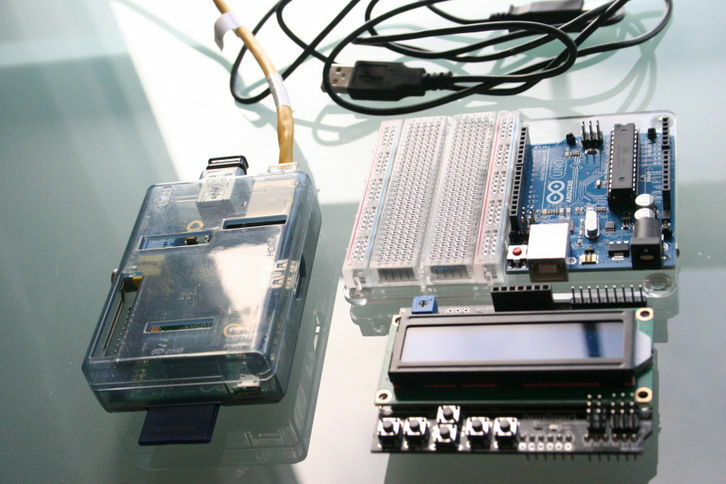 Arduino runs a nanpy interface code to interface with Python, providing Text output of the Radio Station playing and Button inputs to control Playback. This installs the Music Player Daemon (mpd) and it’s client mpc. You use the mpc client to configure mpd to add radio streams to the playlist, start and stop the player etc. We want to be able to talk to Arduino from Python running on the Pi. Now we’ve got the files we need let’s put the nanpy firmware on the Arduino. We installed the Python part of nanpy, and downloaded the Arduino part of nanpy on the Pi in the last step. Now we need to upload the nanpy firmware to Arduino. 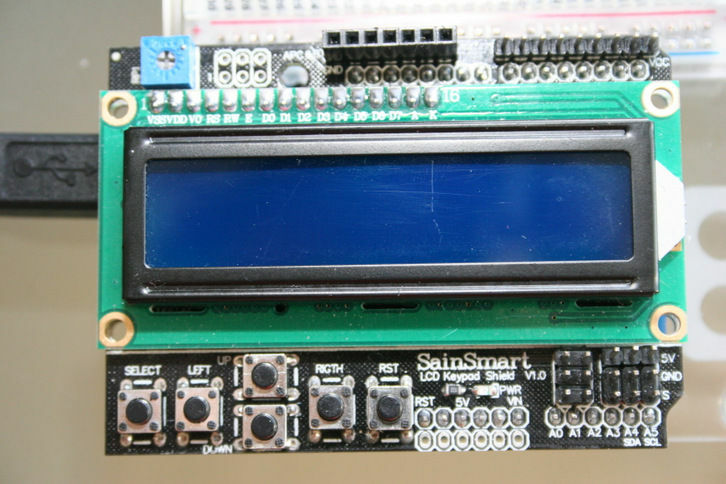 Plug Arduino into the USB of the Raspberry Pi. If you get a report that the device is not found on /dev/ttyACM0 , plug the Arduino into the other USB port. Now that we’ve done all the preliminary installation and setup, it’s time to get on to some fun stuff.Let’s start by getting some music playing.We need to add some radio stations to be played by mpd. The mpd music player daemon is controlled and configerd by its client, mpc. Let’s add our first Radio Stream and get some music playing. You should now hear Radio Paradise from the Pi and see on the Terminal Window that the station is playing. If you don’t hear anything try plugging a speaker or headphones into the Jack Socket. Type mpc help to see other options available to you with mpc. Now we have a perfectly good Linux controllable Internet Radio.But we don’t want to stop there. We want to control the Radio from the Buttons on the Arduino and we want to see which Radio Station we’re listening to on the LCD display. To do that we need to write a Python Program running on the Pi that controls the Arduino. Using nano or your favourite editor enter the following Python code. You should now be able to control playback and station selection from the buttons on the Pi and see the selected station on the LCD.